Honor Play: Buyers of Honor Play can grab an instant discount of Rs 5,000 and get the gaming-centric flagship phone for Rs 16,999. Honor Play was launched in the year 2018 and supports GPU turbo for superior gaming experience. Honor Play comes with a 6.3-inch display, Kirin 970 SoC, 4GB or 6GB of RAM options, 64GB storage, 16-MP + 2-MP dual rear camera, 16-MP selfie camera and 3,750mAh battery. Honor 8X: The 4GB Ram and 64GB storage variant of Honor 8X can be had for an exchange discount of Rs 1000. The 6GB RAM and 64GB storage model is available with an additional exchange discount of Rs 2,000. Honor 8X features a 6.5-inch Full HD+ display, Kirin 710 SoC, 20-MP + 2-MP dual rear camera setup and a 16-MP front camera. The smartphone features a rear-mounted fingerprint sensor, runs EMUI 8.2 based on Android Oreo and is backed by a 3,750mAh battery. The smartphone comes in midnight black, navy blue and red color options. Honor 8C: The 4GB+ 32 GB blue colour variant of Honor 8C is available for Rs 10,999. The black colour 4GB+ 32GB variant is also available with an Rs 2,000 discount. Honor 7C: The 3GB+32GB variant of Honor 7C is available for Rs 8,499. The smartphone comes with a 5.99-inch HD+ display, Qualcomm Snapdragon 450 SoC. 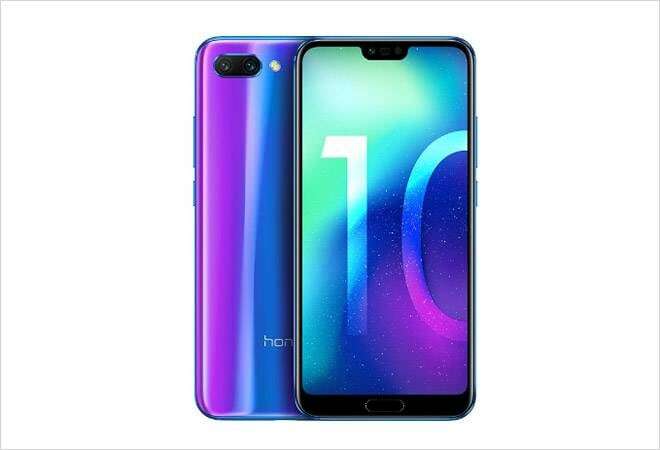 Honor View 20: The buyers of Honor View 20 will get VIP services that include end to end customer service in case of an issue with the phone; the service includes separate IVR lines, reservation service and No Token system at the ASC’s. Honor View 20 comes with 6.4-inch FHD+ display with a resolution of 2310×1080 pixels. The smartphone is powered by the 7nm HiSilicon Kirin 980 octa-core SoC. Honor View 20 comes in two variants, 6GB RAM & 64GB of internal storage and the other with 6GB RAM and 128GB of storage.